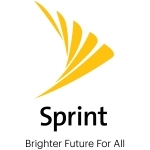 T-Mobile US (TMUS) and Sprint Corporation (NYSE: S) today announced that, pending the close of their merger, they have selected the Central Valley in California as the area for the third of five new Customer Experience Centers to serve New T-Mobile customers. The facility will create approximately 1,000 local jobs. As America’s Un-carrier, T-Mobile US, Inc. (TMUS) is redefining the way consumers and businesses buy wireless services through leading product and service innovation. Our advanced nationwide 4G LTE network delivers outstanding wireless experiences to 79.7 million customers who are unwilling to compromise on quality and value. Based in Bellevue, Washington, T-Mobile US provides services through its subsidiaries and operates its flagship brands, T-Mobile and Metro by T-Mobile. For more information, please visit https://www.t-mobile.com.